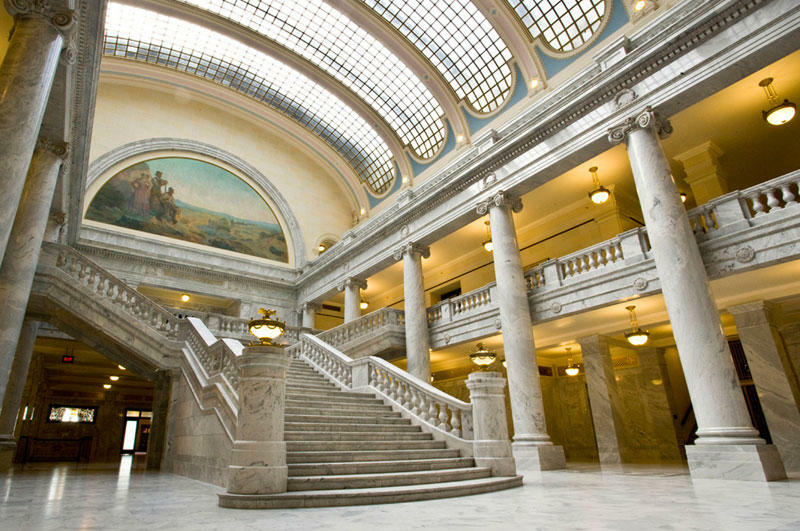 Utah Legislators Can Amend Ballot Initiatives Once They Pass—What Does It Mean When They Do? Utah voters approved all three citizen initiatives that were on the ballot in November; not a month later, the state Legislature replaced Proposition 2 with a different medical cannabis law. Now, state legislators have proposed bills to amend or repeal full Medicaid expansion, as approved by voters of Proposition 3. So, what’s the point of voting for ballot initiatives if the Legislature can just change them? KPCW’s Emily Means has more. The State Elections Office in November reported that nearly 1.1 million Utahns voted in the 2018 midterm elections. 75% of active voters cast ballots, while 50% of all eligible voters did. And despite the narrow margins in which they passed, voters across the state approved ballot initiatives regarding medical cannabis, full Medicaid expansion and establishing an independent redistricting commission. Once a ballot initiative becomes a law, it’s subject to amendment by the legislative body, just like any other piece of legislation. But University of Utah political science professor Matt Burbank says he didn’t expect legislators to have jumped into the waters so quickly, especially with Medicaid. More often, legislators tend to make technical tweaks to initiatives, rather than amending them until they’re unrecognizable. Some legislators have argued, when it comes to Prop 3, that they’re representing their districts—as they’re elected to do—and that population centers like Salt Lake City carried the votes, not their own constituents. But an analysis by Utah Health Policy Project, one of the main proponents of Prop 3, found that a majority of state Senate and House districts voted to support full Medicaid expansion—including Sen. Allen Christensen’s District 19. Christensen is the sponsor of Senate Bill 96, the main Medicaid amendment bill being debated at the Legislature. Burbank chocks that argument up to the confirmation bias that many people lean into. "In part, this is projection on their part, this is saying how they voted and how they think other people should have voted, so they’re assuming that the people who would support them would understand that," Burbank said. "They also, I think, are in part listening to people who have communicated with them, and my guess is in this process the people that they heard from were the people who said, 'oh, I think this is a bad idea,' and because often legislators already have their perspective and what they’re hearing from constituents is reinforcing that, that’s what they tend to emphasize." There’s also the notion that the electorate is uneducated about lawmaking and complicated policy issues, such as health care. At the Senate hearing for SB 96, Lehi Republican Sen. Jake Anderegg bet that, if Prop 3 voters were better informed about the initiative, they wouldn’t have voted for it. “So let’s stop pretending like this is the will of the people, because the will of the people was based upon not all the facts," Anderegg said. Burbank says, though, the voters likely knew what they were voting for—most had mail-in ballots and time to research the issue. Depending on what happens to Medicaid by the end of the session, Burbank says the Legislature’s attitude towards ballot initiatives might stick with voters come next election season. Republican leaders in the Senate believe SB 96 could be awaiting approval from the governor by next week.